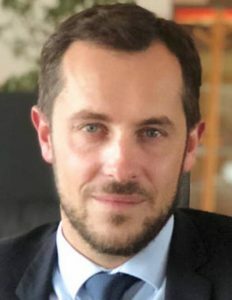 Nicolas Bay, member of the European Parliament and co-president of the group “Europe of Nations and Freedom” gave an exclusive comment to FreeWestMedia on the “Global Compact for Migration”. In March 2000, the UN Population Division already published a report with the following title: “Replacement Migration: Is it a Solution to Declining and Ageing Populations?” According to its authors, EU countries – before the bloc’s 2004 enlargement – should welcome 159 million migrant workers by 2025. The new UN “Global Compact on Migration” aims at creating a right to migration as new fundamental human right. This globalist propaganda corresponds to the EU’s “mobility rights” that established the free movement of persons as one of the four pillars of the EU. As my colleague Marcel de Graaff stated last week during our common press conference in Strasbourg, “countries that (massively) import the Third World will become the Third World and in Third World countries, multinationals dictate the rules”. Indeed, mass immigration does benefit the shareholders of multinational companies because it means lower wages and thus maximised profits at the expense of national workers and our welfare system. 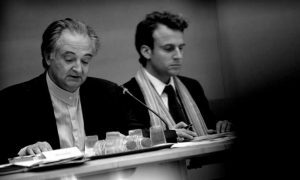 Jacques Attali, the spiritual father of Emmanuel Macron (both are pictured together), who used to be François Mitterrand’s most influential adviser before working for President Sarkozy, wrote a book in 2003 entitled L’homme nomade, claiming that the future of human kind was to become nomadic. So the anarchic mass immigration that we suffer from is not just a lack of political will, it clearly corresponds to an ideology. While the Greek Commissioner for Migration, Home Affairs and Citizenship, Dimitris Avramopoulos, keeps on speaking of our so-called “moral duty” to accept millions of “refugees” that happen to be economic immigrants, only three European leaders have been sticking to that crazy policy: the new but fragile Prime Minister of Spain, Pedro Sanchez, German Chancellor Angela Merkel and French President Emmanuel Macron. Merkel has been weakened by every new election since 2017; last time was in the Hessian state election on October 28. And the opinion polls in France show a vertiginous fall for Macron. Nicolas Bay is a French politician and Member of the European Parliament (MEP) from France. He has served as General Secretary of the National Rally since November 2014 and a Regional Councillor for Normandy since December 2015. He served as a Municipal Councillor for Elbeuf from 2014 to 2015. He is a member of the National Rally.